Sir Robert Harry Inglis Palgrave (1827-1919) began his career in country banking, but through assiduous self-education became a leading figure in economic circles. In 1877, he was made an editor of The Economist and formulated plans with other experts to further the general understanding of economics. The most significant result of these plans was the present work. Similar books had already been published in Europe, but a work in English was long overdue. Concerned less with abstract theory and more with practical and historical issues, Palgrave gathered a distinguished group of international contributors, and the three volumes originally appeared in 1894, 1896 and 1899. A landmark in publishing, the work made the discipline of economics accessible to educated adults for the first time. 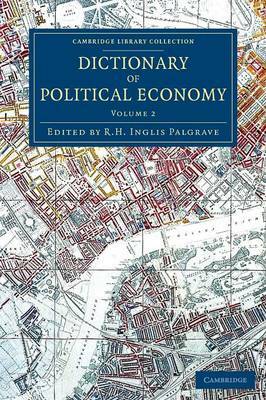 Volume 2, covering F to M, includes entries on free trade, gilds, income tax, labour, and Malthus.